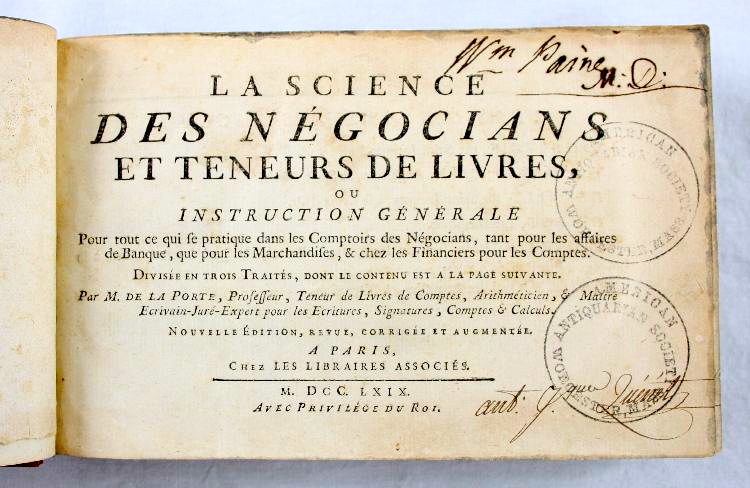 La Science Des Negocians Et Teneurs De Livres - IFA Vintage and Current Book Library - Index Fund Advisors, Inc. This book is about accounting and provides instruction for all who practice accounting, bookkeeping and "banking affairs" for merchants. The book gives several accounts that pertain to the shops and businesses in France during the 1700s. The book is divided into 3 sections: 1) simple accounting, 2) double-entry bookkeeping, and 3) other types of transactions and documents, such as bills of exchange and letters of credit. It is a hardcover oblong format book printed in French. 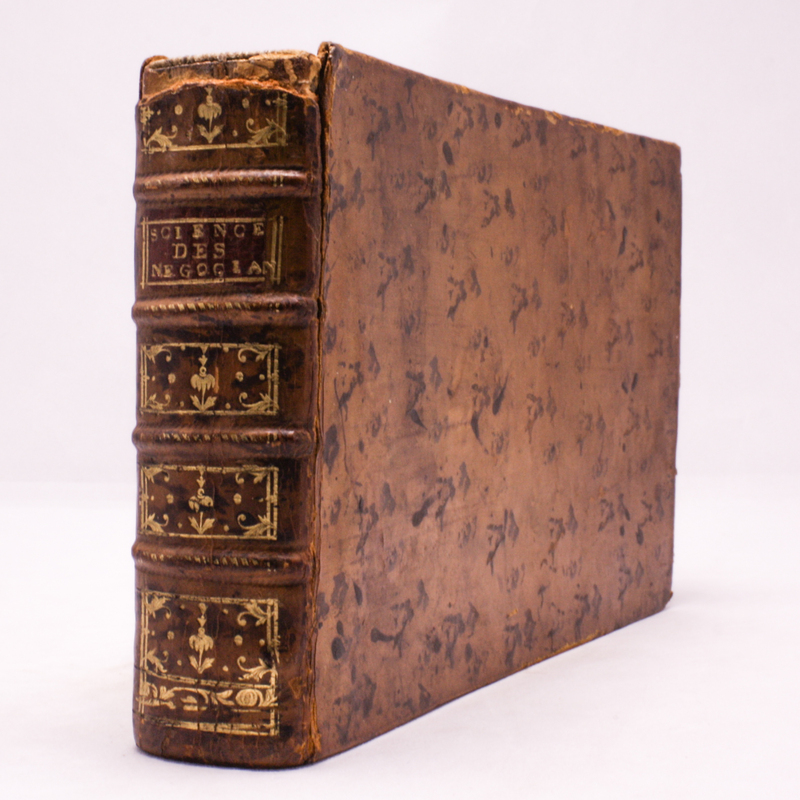 The cover is contemporary full calf, with raised bands and gilt lettered maroon morocco leather label. Remaining compartments blocked in gilt, all edges marbled, marbled endpapers. The ownership inscription of William Paine, who was the founding member and first Vice-President of the American Antiquarian Society in the upper corner of opening edge of title page. A French owners name is also shown on the bottom right corner. Two ink-stamps of the American Antiquarian Society are on the title page. There is deterioration to the head of the spine.